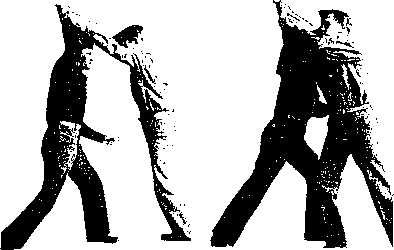 Hand blows can be delivered by using the fists, edge of the hand, palm, or knuckle. To use the fists effectively, a knowledge of boxing is a prerequisite. Experts state that it takes up to six months to learn to deliver a knockout blow with either fist. The ability to box is very desirable and the other principles boxing teaches, such as the use of body balance, should not be underestimated. However, there are other means of using the hands which the layman can learn and use more swiftly, and at times more effectively.